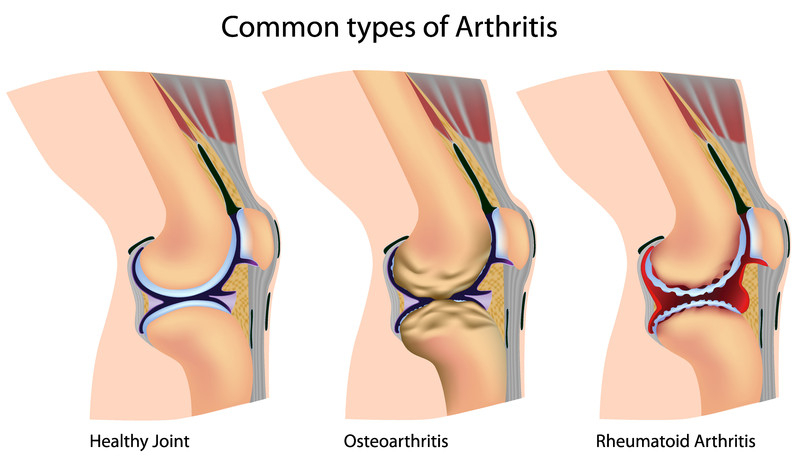 There are two types of arthritis that affect the population, osteoarthritis and rheumatoid arthritis. According the National Institute of Health, arthritis is the leader in disability causes among American women. While men can get arthritis too, the condition is more often seen in women. Osteoarthritis is a degenerative condition that affects a person’s joints. This is a wear and tear problem that results in cartilage breakdown. It can occur over time, as a person ages, or due to other contributing factors such as obesity. Osteoarthritis affects the knees, ankles, elbows, shoulders, feet and other parts of the body. It can also impact the spine causing disability and restricted range of movement. The cause of arthritis depends on the type of ar thritis a person has. 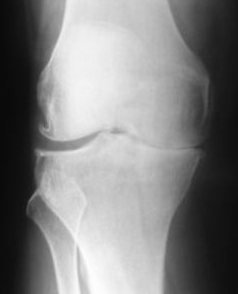 Osteoarthritis is typically caused by wear-and-tear on the cartilage around the joint. When degeneration occurs, the area becomes weak and susceptible to arthritis. 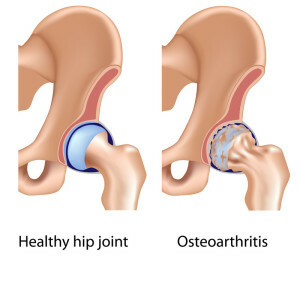 Being overweight can contribute to the development of arthritis due to the added weight placed on the joints. Doctors recommend losing weight for patients who are obese and afflicted by arthritis. Rheumatoid arthritis is a different form of arthritis that causes serious long-term effects, especially if left untreated. The disease causes chronic pain and inflammation, resulting in loss of movement. There is no known cause for the development of this condition; however, doctors believe it to be an autoimmune disease where healthy bone and tissue are attached in the body. there is no cure for arthritis, there are helpful treatment options available for pain relief and the reduction of symptoms. Arthritis symptoms are painful. Some patients report pain that radiates through the joint and surrounding area, hot sensations and an overall achiness and ill feeling. Rheumatoid arthritis can be debilitating in nature, causing the inflicted patient to be unable to move or get around. Rheumatoid arthritis may leave the person disfigured in the affected joints. When the condition affects the spine, spondylitis may occur, which is a condition that results in swelling in the discs of the spine. Spurs may develop and tremendous pain and stiffness may occur. 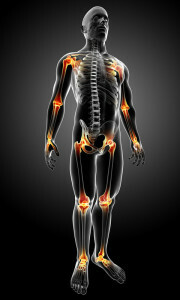 Osteoarthritis also results in pain in the joints and affected areas of the body. For instance, if there is osteoarthritis in the neck, the cervical spine may become extremely stiff and painful, resulting in headaches or even migraines. It is recommended that the condition be treated early on to slow the development of further symptoms. X-rays are commonly used to diagnose osteoarthritis, because the films reveal cartilage loss and degeneration. Blood tests are also useful to rule out particular types of arthritis, while joint aspiration may also be helpful in determining which form of arthritis a person has. After your doctor has conducted a medical history assessment and reviewed your symptoms, you may be asked to undergo a physical exam that includes moving and positioning your body in different positions. The movements will reveal the degree of range of motion, tolerance to pain and stiffness. symptoms. Chiropractic care is being routinely recommended for treatment in arthritis because of the spinal manipulations that can be made to help increase blood flow into the affected areas. From conservative to alternative therapy, the results of treatment are favorable. Acupuncture has become a well-regarded form of treatment to help relieve pain and discomfort. Chiropractic care is beneficial in releasing endorphins into the body to help relieve pain. New research has revealed the effectiveness of regenerative medical treatments including stem cell injections and platelet rich plasma (PRP). Radiofrequency ablation also provides favorable results, with an 80% success rate in patients who are treated for arthritis of the spine. The goal of treatment is to reduce the symptoms of pain and discomfort, and while there is no cure for arthritis, treatment is highly effective in reducing pain so that the patient can live a quality life. 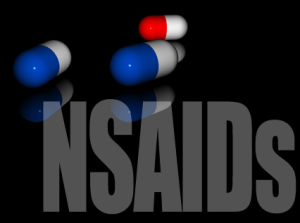 What are the Outcomes of Treatment for Arthritis Conditions? 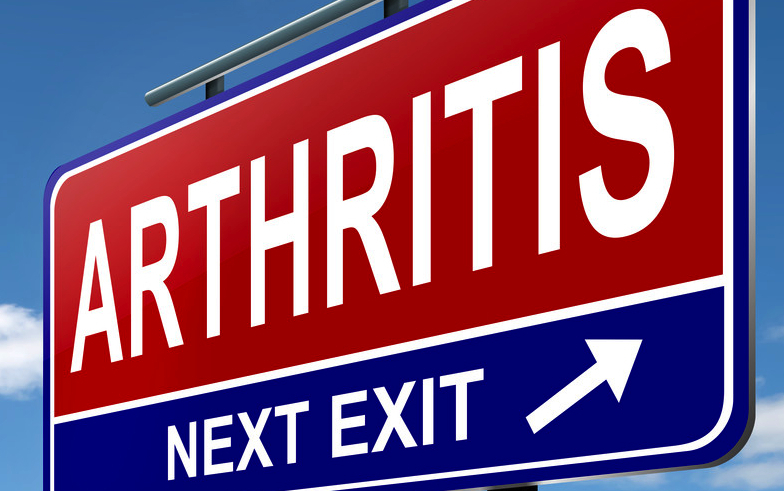 Research is ongoing in the field of arthritis studies. Doctors and scientists are effectively discovering innovative medical treatments, screenings and preventative methods each year to help patients with this condition. The results of treatment and therapy for spine and extremity arthritis conditions are highly favorable the outcome is successful for pain relief. 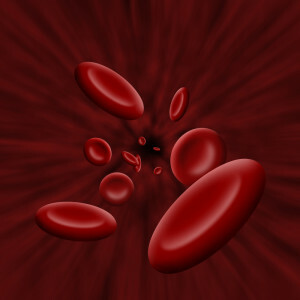 PRP therapy is showing promise for arthritis. Spinal arthritis is being treated with radiofrequency ablation, revealing over 75-80% success rate in patients who have suffered with the condition for years. Pain relief is available. You do not have to live suffering from the pain caused by arthritis. Pain management clinics in Fort Myers and Cape Coral area are experts at the nonoperative treatment of arthritis. The clinic Community Wellness offers numerous treatments for arthritis. Simply fill out the form on the page or call (239) 288-0072 for assistance!